A Little Look Baaaack At The World's Best Pillows. . . Which have all been sheared off! 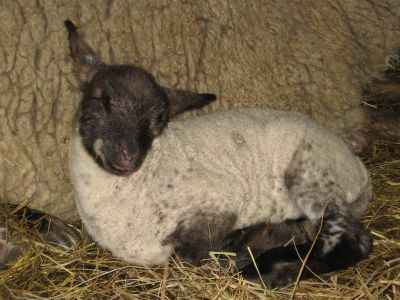 Many of the lambs still curl up at night with their mothers, though, despite the much firmer pillows. I'm still planning to post a few photos from Shearing Day (as well as Donkey Doodle Dandy's First Pedicure). Hopefully soon. Things have been non-stop around the farm. Busy, busy, busy time of year. Want to know how much the lambs change color? The bottom two photos are both of Liselotte's baby boy, taken one month apart. A year of Daily Photos ago: A Safe Place To Rest (and still one of my favorite photos). Thanks again for my daily escape. That little sheep is adorable! I'm jealous you live with a bunch of animals. I love them myself! Nothing like a woolie cuddle. 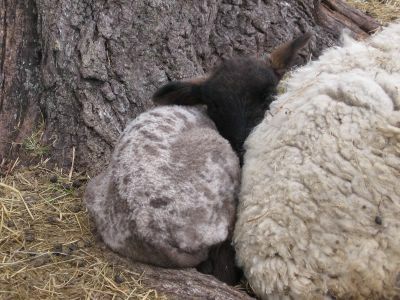 In your 'safe place to rest' photo, is that something sheep tend to do? We have one of our hosted sheet that likes to lay with her head in a little space between a pole & the fence. Must make them feel secure. Thanks for the pics! Such sweet pictures! Can we all just say...."Awwwwwww"
hi i am kirbylim they r so cute i love it i wish i can go to. 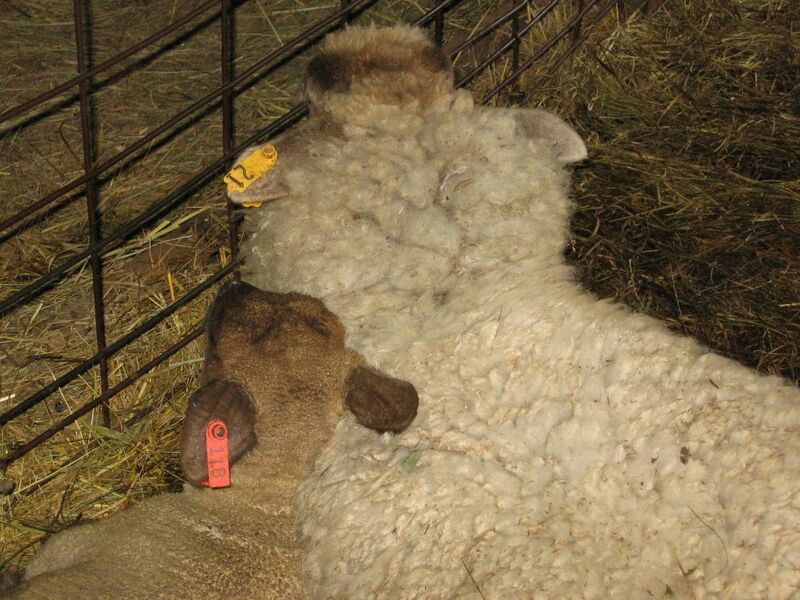 I love the photo w/ the lamb smiling while in blissful sleep on that "natural fiber" pillow!! He must be dreaming of having full access to all the fresh sprouts in the garden! Absolutely adorable!! I'm just reading a book called: "Letters from the Country" by Marsha Boulton. :) Her story reminds me of yours - she left city life to become a shepherd. If you can find it, I think you'd love the book. P.S. Your blog is a real getaway to those of us who live in the city! (we were in Germany) we had to keep Sheep and we sent the blood all over Europe so our Dispensaries could make it. Was stationed in W. Germany in Landstuhl. I still miss those sheep! Regards, Everardo.